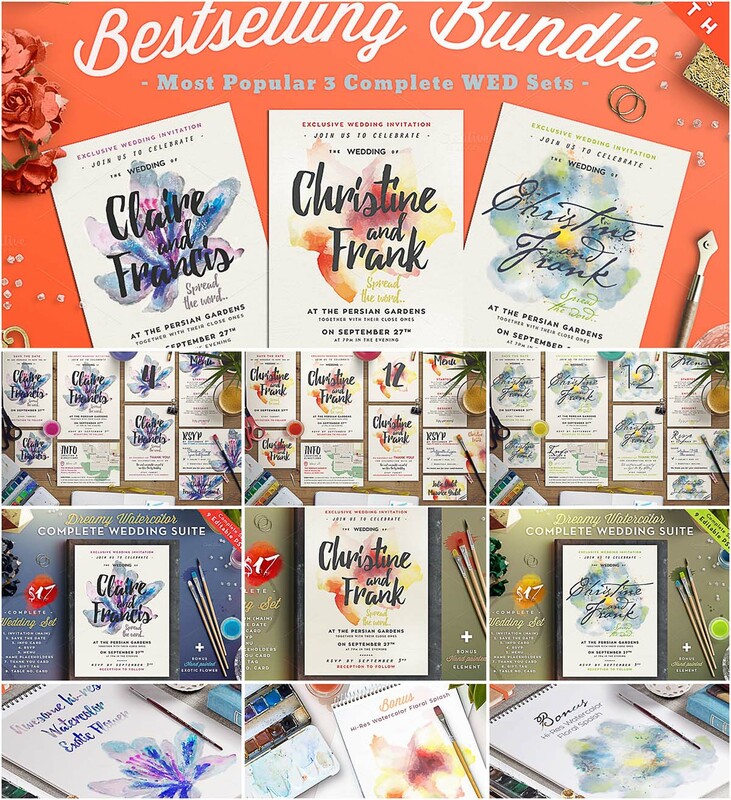 Set of 30 fully editable psd files with elegant watercolor wedding invitation card, menus, thank you cards, info cards etc. for your lovely personal designs. File format: .psd for Photoshop software. 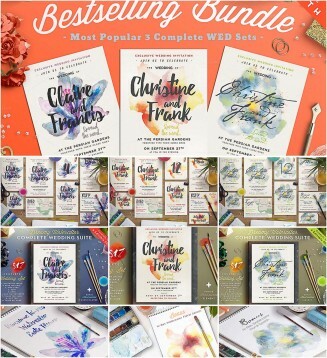 Tags: event, floral, invitation, marriage, name card, place holder, watercolor, wedding cards.